Italy have failed to keep a clean sheet in eight, their worst run since 1959. "Poland haven’t failed to score at home in competitive action since 2009, but the White Eagles’ frailties have led to the hosts conceding in 11 of their last 14 matches." Jerzy Brzeczek took charge of Poland following the White Eagles' dismal effort in the World Cup under Adam Nawalka's watch. However, the new head coach is already under pressure from expectant supporters after overseeing three winless matches against Italy, Ireland and Portugal. Poland were held to a 1-1 draw in their Nations League opener against Italy, and by the same scoreline in a friendly fixture with Ireland. But Thursday night's 3-2 loss when welcoming Portugal to Chorzow was deemed unsatisfactory. The White Eagles lost the shot count 19-8 against the Cristiano Ronaldo-less Iberians. Brzeczek partnered century-capped skipper Robert Lewandowski with Genoa's goalscoring sensation Krzysztof Piatek against Portugal with Napoli's Piotr Zielinski playing in a hole of a 4-3-1-2 and a similar system is expected on Sunday. Arkadiusz Milik, an unused sub, and Kamil Grosicky are chasing recalls. Italy were held to a friendly draw on Wednesday night by Ukraine on an emotional night at the Stadio Luigi Ferraris, which honoured the victims of the bridge collapse in Genoa. The match was paused in the 43rd minute as players, staff and supporters applauded in memory of those who died. Italy enjoyed 66% of the ball and fired in 20 efforts at goal but were made to wait. Federico Bernardeschi's powerful shot spun into the back of the net in the second half following a mistake from Ukraine keeper Andriy Pyatov. However, the Azzurri were unable to hold out and leaked a leveller seven minutes later. 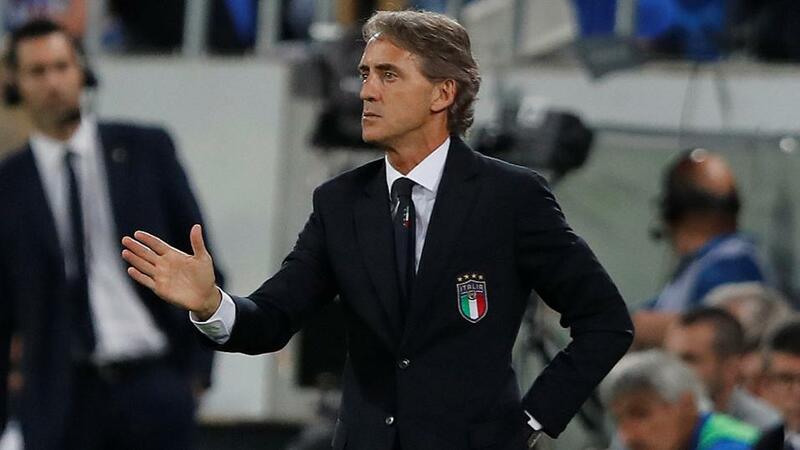 The 1-1 draw means Roberto Mancini's men have now picked up just two victories in their last 12 games - against Saudi Arabia and Albania. Ciro Immobile may be brought back in to the starting XI for Sunday, although few major changes are expected to the Azzurri side that faced Ukraine. It's surprising to see Italy chalked up as [2.60] favourites to take top honours on their travels on Sunday night. The Azzurri still appear to be reeling after missing the World Cup for the first time in 60 years, having won just once (against Saudi Arabia) in 10 tussles over the past 12 months. Poland [2.84] are also struggling to find their best form, mind. The White Eagles have only managed to succeed in three of their previous 12 encounters, against Lithuania, Japan and Korea, suggesting the stalemate represents the best Match Odds value bet at [3.30]. Collectively, the two teams have shared the spoils in 10 (42%) of their past 24 combined internationals with unconvincing backlines to blame for their lack of immediate progress. As already alluded to, defence seems to be both sides' Achilles heel. Poland haven't failed to score at home in competitive action since 2009, but the White Eagles' frailties have led to the hosts conceding in 11 of their last 14 matches. Italy have been far from fluent in the final-third - scoring just seven goals in their past 10 games (two of which arrived against Saudi Arabia), although they boast the individual quality to trouble Poland. Even so, the Azzurri have failed to silence their opposition in any of their last eight, their worst run since 1959. With that in mind, Both Teams To Score is the obvious selection at [2.00]. This is a selection that's proven profitable in six of Italy's most recent seven showdowns, as well as six of Poland's past nine contests.